Oil Base India is a highly acclaimed name among manufacturers and suppliers of a variety of industrial chemicals like Chloro Alkali chemicals and Oleochemicals. 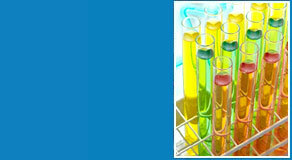 A wide spectrum of process industries, look towards us for their chemical requirements. Our Company always belives in delivering high quality products including soap noodles, pharma glycerine, potassium hydroxide, potassium carbonates suited according to the requirements of different industries. Years of experience help our industry experts serve various industries like: Paint, Cosmetic, Bio diesel, Pharma, Petrochemicals, Resins, Plastic, Specialty Chemicals, Food Organics, Stearates. We are a quality conscious company and this philosophy lies in our work culture and all business operations. Stringent measures are adopted to check quality at different stages of production and supply of industrial chemicals like oleochemicals, chloro alkali chemical and industrial chemical products through the State of the art Zero Gap Membrane technology. We have advanced manufacturing unit, which is equipped with all the latest machines and technology to produce superior quality pure chemicals like stearic acid, soap noodles, refined glycerine, stearic acid powder and many more. Using our sophisticated infrastructural facilities, our skilled and experienced work force can produce products in compliance with international standards.